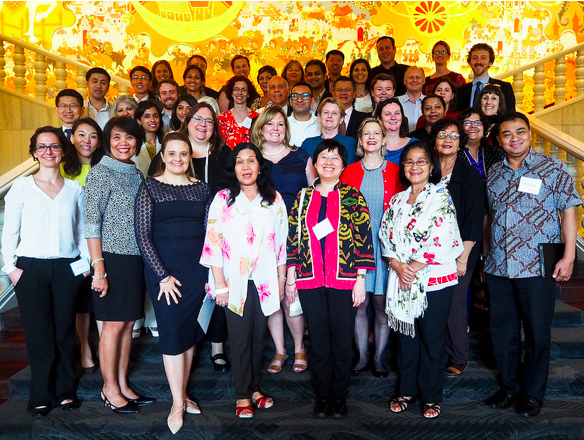 For three days in Bangkok in mid-March 2015, we hosted a fabulous gathering of leaders in gender lens investing. We planned this event as a culmination of a USAID activity to identify specific actions USAID and others could take to accelerate the field of gender lens investing in Asia. We were joined by 47 women’s rights activists, individual and institutional investors, fund managers, donors and other women and men focused on grassroots mobilization and working deep in the finance industry. Participants formed new relationships, contributed to shaping a broader understanding and map of the field of gender lens investing, and moved forward tangible opportunities. The group wanted to keep the definition of gender lens investing broad and not only focus on women led businesses and to certainly not be reduced to a subset of impact investing. For example, in talking to midwife entrepreneurs in the Philippines, how do we not simply get them access to capital to grow their individual business, but influence capital flows to effectively build the industry of midwifery and get to a larger systems change in health care access? How can financing for successful women entrepreneurs in the countries of the Association of Southeast Asian Nations (ASEAN) not fragment existing collaborative cross-border business relationships through one-off deals, but rather knit them more closely through innovative organizational structures? At The Women’s Foundation, all too often, we encounter the assumption that gender lens investing is just about micro finance for women entrepreneurs. But just imagine the potential for change if women’s needs were properly considered in project finance for infrastructure projects like the building of new roads and subways or sanitation systems. After all, men and women use public transport differently. Studies show that women rank personal security and transport costs higher than men, who rate speed as the no. 1 issue. Or consider the new horizons that would emerge for women-owned enterprises if companies were to embrace supplier diversity, driven by consumer demand for products bearing a Made By A Women-Owned Business kite mark. Equally, at TWF, we have been urging institutional investors to challenge companies with all-male boards and all-male management teams given the reams of available research showing that greater gender diversity leads to better business performance. This is why we are excited about being part of an emerging regional coalition working to frame and promote gender lens investing as a field in its own right and working to create linkages between the many players who are already engaged in GLI in many cases without realizing they are contributing to an exciting new movement at the intersection of finance, gender and social development. Getting to inclusive social change via the systems of finance requires that we understand how finance works within the world. Finance is a system that assigns value to things based on analysis of risk or return (and a few other things). This often reduces the complexity of the world into a series of calculations. In the end, incorporating a gender analysis into a financial analysis means shaping the data used to make decisions, working to overcome what has included patterns of bias and exclusion, and working to get to better decision-making overall. We know how to count women, such as number of women on corporate boards or the number of women-led businesses, and have some correlations that indicate these data points should be valued for better financial performance. But in finance, these data points are not being used consistently enough. Furthermore, there is need for additional data points, correlations, relationships, and evidence that can help value the richness of what we know about an investing approach and an investment impact with a gender lens that includes not only information from investors and those in finance, but also from women’s rights experts, feminist economists, grassroots organizers and others. How do we better use the richness and depth of gender data that we have in non-governmental organizations, women’s rights organizations and other groups of experts to be able to inform decision-making in finance? How do you take the rigor of the metric systems Oxfam Great Britain-Bangkok implements to document inclusive social change, to become relevant to calculations and systems of finance? Or be able to use the information Millennium Challenge Account Indonesia is collecting around community landscapes and livescapes to inform decision-making about other climate mitigation investments? At the forum in Bangkok, USAID formally announced an activity to support data analysis, documentation and dissemination around gender lens investing. Specifically, the goal is to develop and test a hypothesis describing how money flowing into gender lens investments within a limited set of countries in Asia (across asset classes and investment vehicles) translates to tangible social benefits for women and society, and financial benefits for investors. The design of this activity was a topic of conversation throughout the forum. What kind of data, from whose perspective? At one moment in the Bangkok forum, as a researcher talked about his background in astrophysics, he reflected gender lens investing just might be equally complex. Understanding gender lens investing probably isn’t really as hard as astrophysics, but we don’t yet have a full network of the data points, pathways and bridges that allow us to make logical connections between gender, finance and inclusive social change. How do we prove the impact of gender lens investing on the lives of women and girls, and the broader inclusive social change we seek? How do we prove that data patterns about gender matter in the decision-making within finance? How do we ground that in industries, sectors, and community contexts that make the analysis tangible to an investor and women’s rights advocate? How can we translate these understandings into data patterns of analysis that can shift the logic of finance? Shift the priorities, the patterns, so that smart money moves in the right ways. And how do we make sure that in making finance smarter and investments better, we are also valuing the voice of people who have expertise in gender issues and the individuals that we are striving to support? As fund managers, advocates, gender experts, investors, international development supporters, and others, what evidence do we need to make the case for more investments with a gender lens, i.e., to see finance as a bridge to help scale inclusive social change? 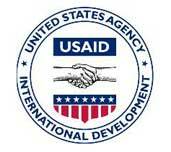 As USAID designs its data activity in the coming months, your input is incredibly valuable! 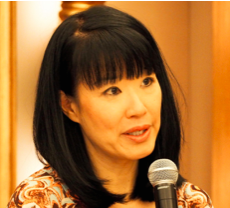 Editor’s note: Click here to see the rest of Joy and Patty’s series exploring entrepreneurship and investing in Asia through a gender-lens. Beyond the Big-Data Buzz: How Can We Move From Intelligence To Action? Patty Alleman is the Senior Regional Gender Advisor for USAID's Regional Development Mission for Asia, and Joy Anderson is the founding president of Criterion Institute, a research and education nonprofit that broadens who and what matters in reinventing the economy. Their writings are on their travels in Asia as they seek to map the landscape, meet the players, and build a foundation for gender equality by investing in women and girls.